we treat all projects with the utmost respect and dedication. We are dedicated to the art of photography, through its functionality and visual power. Our staff is among the best in the field with advance training, fine art degrees and years of experience. We take our jobs seriously! We aim to please and set ourselves apart while producing significant and memorable works of art. We think of ourselves as 'time capturers' and its imperative that we do so to the best of our abilities. enabling you to revisit those special moments time after time. 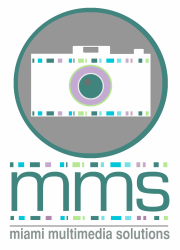 Laura from MMS did an amazing job! She is very courteous and professional. If you are looking for a great photographer, look no further, she is flexible, meticulous and prompt. She shot a condo unit and really knows how to make it look great! i look forward to working on many more photo shoots with her in the future. Highly communicative and efficient. Turnaround time was very quick according to my needs. She is also proficient with Dropbox which helped for the transmission. Much enjoyed working with her and will likely do so in the future. "Laura was very professional and really took some great photos of the property I was listing. ​She went above and beyond the call of duty." "Laura was excellent. She accommodated the Seller's schedule, arrived on time, and calmly and professionally went about the shoot. The final result was presented quickly and in a very accessible format, and she was very willing to make changes and edits to suit the requirements for the listing. The shoot was of a architecturally important 2-story house on the islands in Miami Beach. The photos showed the property well. Price was also very reasonable." "LOVE THEM!!!" Thank You for doing a Wonderful Job!!! THEY. ARE. AMAZING !!!!!!! You did an AMAZING job!!!! Thank you so very much!!!! !